The final volume in top notch Psych Pop series , release date October 5th 2018. 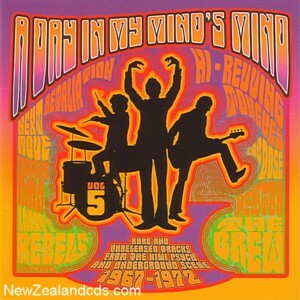 24 rare and unreleased tracks from the Kiwi Psych and Underground scene 1967 - 1972. Full colour ten page insert contains indepth band details and photos. Includes ten previously unreleased tracks and eleven tracks appearing on cd for the first time. Another essential and beautifully presented piece of New Zealand music History.